Today Web technologies give us the option to visualize with powerful components. 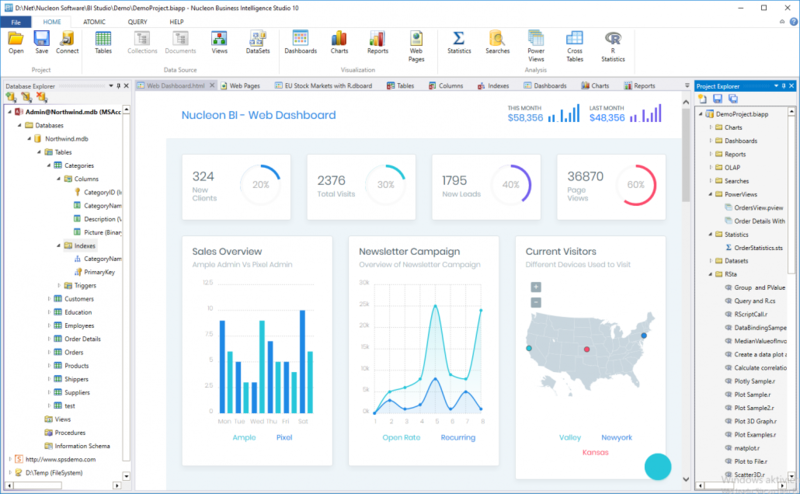 Nucleon BI is able to render and visualize Web pages which include HTML, CSS and jаvascript code. It allows to design and to bind data using binding technology to the Web components like table, list, image and other HTML Elements.